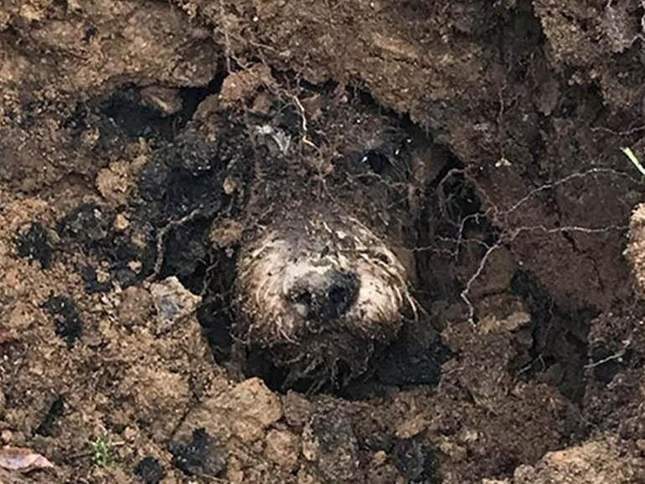 A dog has been found stuck in a rabbit hole four days after going missing. Ralph, a young wire haired Dachshund from Haworth in West Yorkshire, disappeared while out on a walk last week. With the help of family and friends, owner Sarah McLellan spent days searching for her pet in the fields around their walking route. She also posted frantically on social media and set up a dedicated Facebook page. Ralph was eventually found on the fourth day when his sister Edie caught his scent and alerted the search team to his location. Though he had lost weight and worn out his nails from trying to claw his way out, Ralph was not fazed by the ordeal. After being reunited with her pet, Ms McLellan said “he’s the same a***hole he always was”.